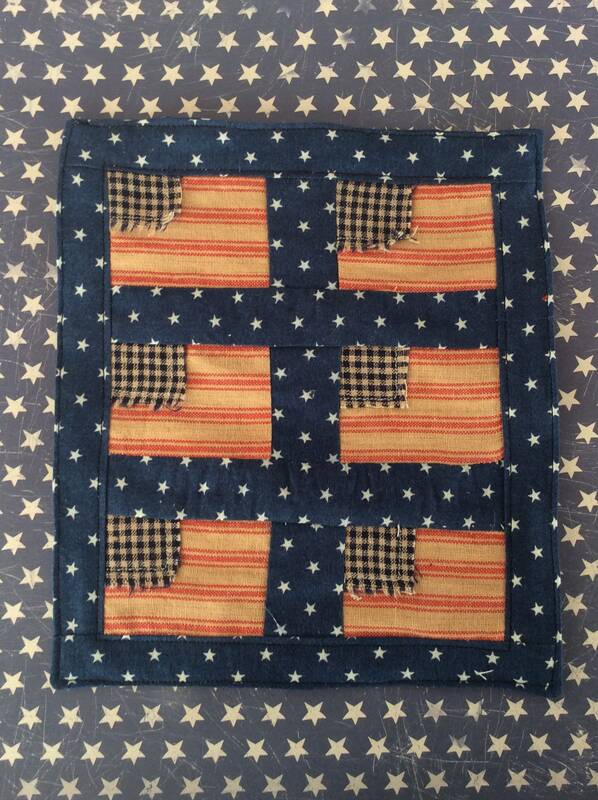 Miniature Americana Red and Blue Flag Quilt 6 3/4" x 7 3/4"
I have a real love for flags and flag quilts. 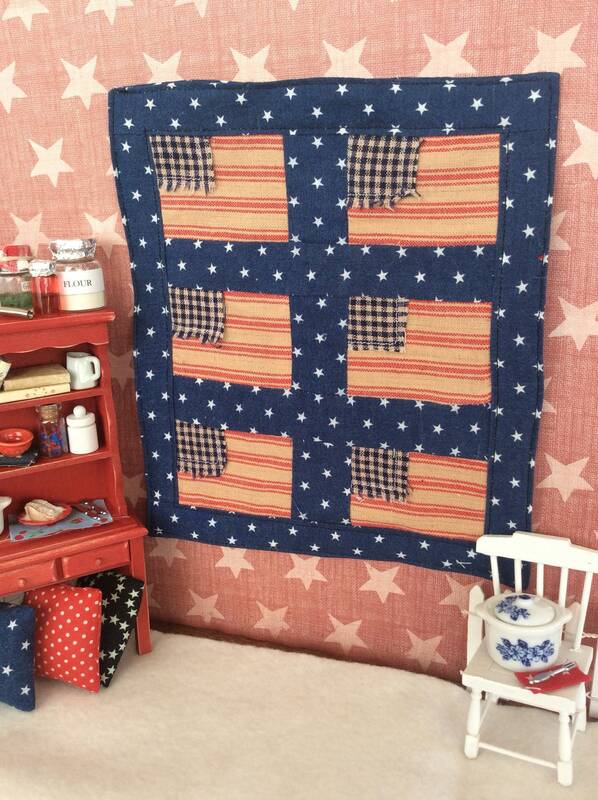 I love the Americana style and thought it would be cute to make some miniature versions of flag quilts. 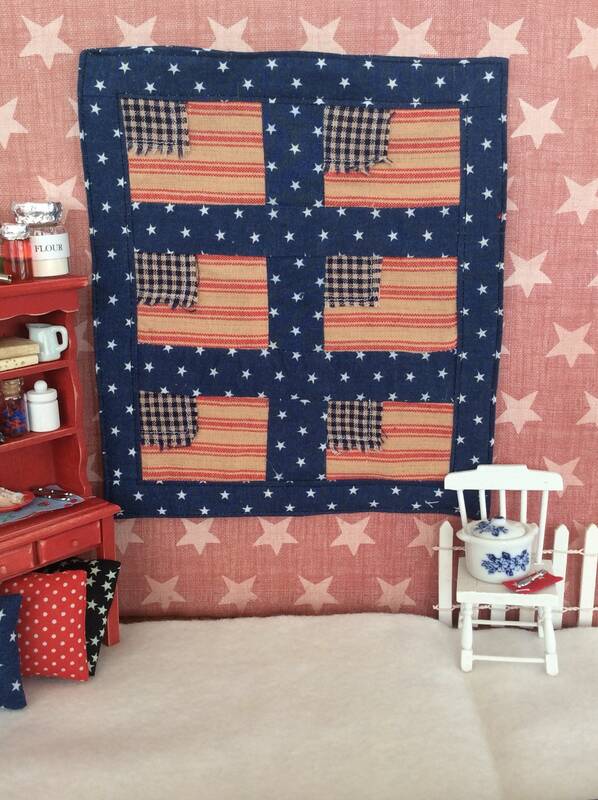 Using navy with tiny stars on the background I included red and tan ticking for the main body of the flag. Navy and tan check for the square part of the flag gives this a rustic feel. You’ll also receive the two coordinating pillows as shown in the listing pictures. Love how this turned out. 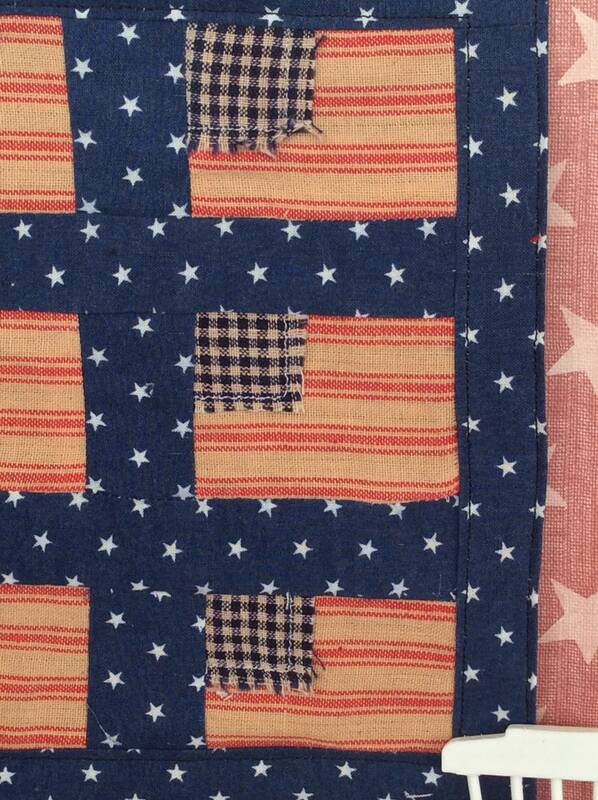 This is also a signature quilt in the pattern I’m publishing. 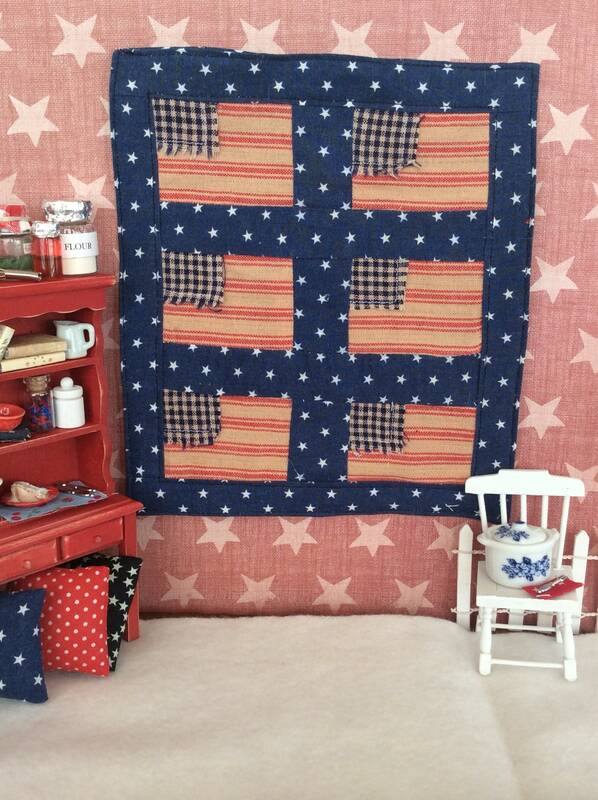 It will be a great pattern for making simple little flag quilts. 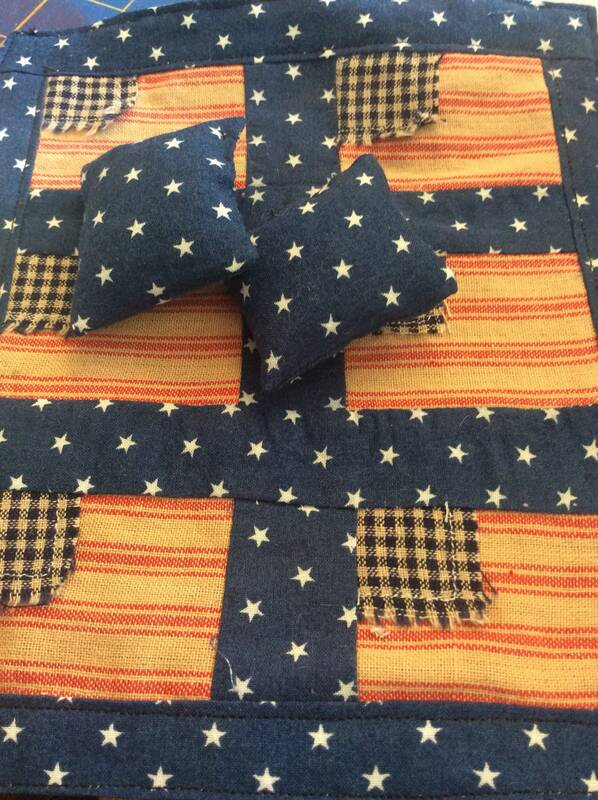 This is a one of a kind quilt and perfect for decorating a small area or shelf in your own home. *I do not use batting in my small quilts. They often look more like a hot pad and I don’t care for that look so I do not use batting, thin or otherwise.